Alaric’s 2011 debut was released with much fanfare. One reviewer went so far as to comment that it sounded like the album Amebix should have made. The favorable comparison to the lords of peace punk soon had the dark strains of Alaric’s debut echoing through the bunker and me scrambling to pick up this split. This EP finds both bands in a transitional phase. 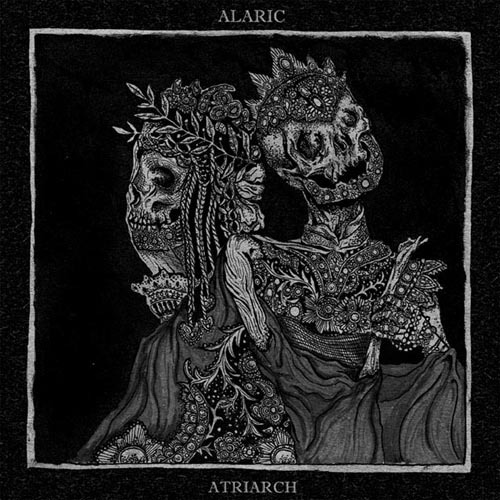 Alaric are coming off their previously mentioned 2011 debut and Atriarch find themselves in similar territory following their 2011 release of Forever the End on Seventh Rule. Veterans of several tours together (both bands dedicate their side of the split to the other), this EP seems a logical extension of their relationship and the material contained herein find both bands at their peak. The Alaric side begins with “Memory Assault”, a powerful combination of Only Theatre of Pain era Christian Death and the dark punk majesty of Amebix and Rudimentary Peni. Shane’s bleak lyrics are enhanced by his vocal style that sounds something like Jaz Coleman projected through a medium. “So Far Down” sees the band infusing deliberate droning bleakness with elements of Dark Side of the Moon and The Wall era Pink Floyd. Alaric end their side with “Weep”, a tune that begins with a bass part which sounds like it is reverberating through water. The drumming slowly builds over Rick’s bass line to merge with Russ’s guitar; all the while Shane’s distorted vocals lament the fate of a friend who has given up. Atriarch have an undeniable affinity for Christian Death that is evident on the track “Oblivion”. Lenny’s vocals do invoke the late Rozz Williams as he sneers, “but God is speaking to you. They call it instincts and sin.” The death rock vibe eventually gives way to outrage and anger as the track crashes to its end with Lenny screaming “Lies! Lies! Lies!” as his voice fades out. “Offerings” sees the band moving in a different sonic direction. 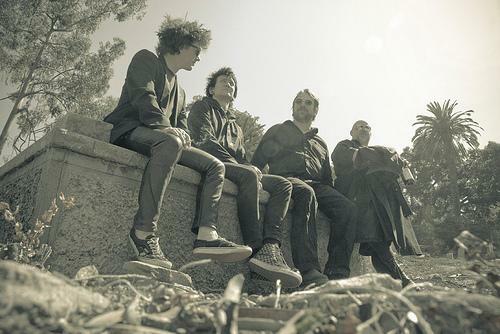 The track begins with a bleak guitar part that seems to struggle up from the murk to be heard. It is eventually combined with clipped drumming and a droned vocal. 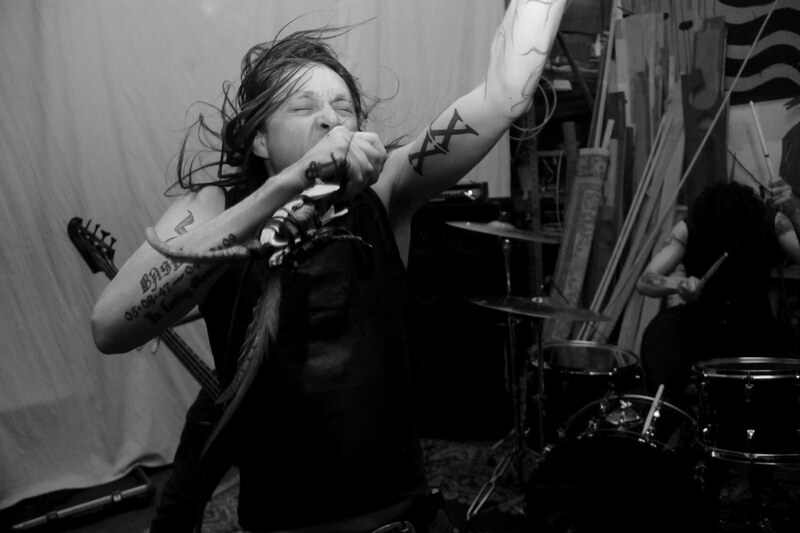 Lenny’s vocals slowly build until the listener is suddenly treated to a full black metal assault before the track is eventually pulled under by the gathering gloom. The Alaric/Atriarch receives an unreserved recommendation from the bunker. Alaric will be on hiatus until 2013 but do try and catch Atriarch if you have the chance. 2013 promises new material from both bands and I’m very excited to hear what they get up to.